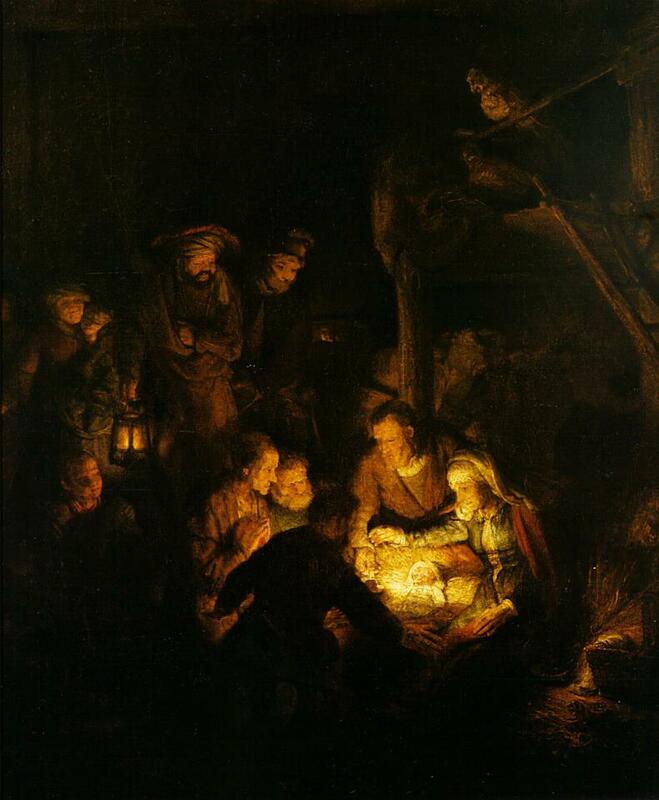 The scene was Israel about 1160 years before Christ. The Midianites were causing great suffering among the Israelites. Gideon was threshing wheat when God called Gideon and told him that he would deliver his people. Like so many others called by God to accomplish a God sized mission, Gideon was feeling uneasy about the task before him. The Lord said to him, (Judges 6:23) “Peace to you, do not fear; you shall not die.” 24 Then Gideon built an altar there to the Lord and named it The Lord is Peace. To this day it is still in Ophrah of the Abiezrite. The phrase “The Lord is Peace” is the focus of today’s devotional. To understand it, we must go back to the time when (in Exodus 3) God told Moses to return to Egypt to deliver his people. Moses responded “Indeed, when I come to the children of Israel and say to them, ‘The God of your fathers has sent me to you,’ and they say to me, ‘What is His name?’ what shall I say to them?” And God said to Moses, “I Am Who I Am.” And He said, “Thus you shall say to the children of Israel, “I Am has sent me to you.” Exodus 3:13,14. Categories: peace, Uncategorized | Tags: basics, god, peace, relating to god | Permalink. 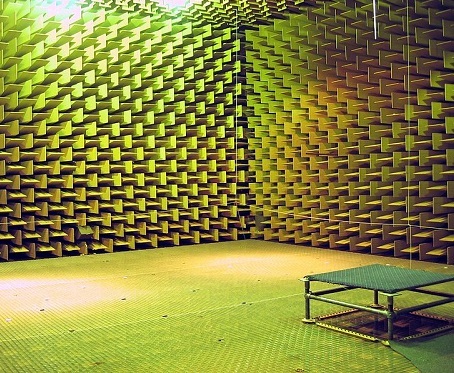 An anechoic chamber is a room designed to completely absorb reflections of sound. Orfield Labs in South Minneapolis has an anechoic chamber that has held the Guinness World Record for the “World’s Quietest Room” since 2004. The room is built with fiberglass acoustic wedges 3.3-feet thick, and it has double walls of insulated steel and one-foot thick concrete. Measured at -9 decibels, the room is so quiet that you can hear your blood flowing. The silence is so maddening it can cause hallucinations. The longest anyone has been able to bear the room was 45 minutes. When I first heard of this room, my thoughts went immediately to a missionary who shared with me what he thought hell would be like. The picture he painted was that of a person alone in total darkness forever. So often classic images of hell portray a large number of people writhing in agony in an inferno. Whether the image of fire is literal or metaphorical is one issue. But who is to say that hell is a communal experience, as opposed to one of total isolation. A student of the Bible could go either way on this question. I recently read an article in which CS Lewis was reported to have said something like, “Hell is no one but yourself, forever and ever.” What a terrifying thought! Categories: conflict, hell, peace, relationship, Uncategorized | Tags: christ, conflict, quiet time, relationship | Permalink. Key Take-aways: a) Jesus doesn’t just give us peace, He is our peace! – b) Peace is not the absence of conflict. True peace is oneness and the secret of oneness is a Person! For he himself is our peace… (Ephesians 2:14a). This is not mere doctrine. If you are having a conflict with anybody, this is the way of peace: For he himself is our peace, who has made the two one. Paul starts with a definition of what true peace really is. True peace is oneness. It is not merely the cessation of hostility, the absence of conflict; it means being one. Anything else is superficial and temporary and highly unsatisfactory. You know this to be true. You have made peace on superficial terms and have found it only external. If you merely agree not to fight, it is not peace. And invariably it results in a new outbreak, with all the previous animosity surging to the surface once again. This is why what we call peace among nations never lasts–because it isn’t really peace. It isn’t oneness at all. It is only a weariness with warfare, an agreement to stop it for awhile until we can all recuperate and rearm. Then it breaks out all over again, because nothing is ever settled. But here the apostle tells us the secret of peace. The secret of oneness is a Person: he himself is our peace. And when Christ Jesus makes peace–between individuals or between nations–that peace will be a satisfying, permanent, and genuine peace. ‘What Paul is saying is that in order to live at peace, you must have peace. The problem with most of us is that we want to start by clearing up only the results of conflict. God never starts there; He starts with the person. He says peace is a Person, and in order for you to live at peace with someone else, you must be at peace with the Person of Christ. If you have His peace, then you can start solving the conflict around you. But you never can do it on any other basis. So the place to start, the origin of peace, is the settling of any problems between you and Jesus Christ. Many people come to me with various problems involving conflict. Usually they are upset, troubled, discouraged, or angry. They report all the terrible things the other person has done and all the reasons they are justified in being so angry. I listen to it all, and then I say to them, Yes, you’ve got a problem. But that isn’t your only problem. You really have two problems. And the one you haven’t mentioned at all is the one you must start with. Then I point out to them that their basic problem is that they don’t have any peace themselves. They are upset, angry, and emotionally distraught. And everything they do is colored by that emotional state. And it is impossible to solve the problem until they themselves acquire peace. But this is the promise of God to Christians: He is our peace. And once their attitude is changed, once their heart is settled, once they have put the matter into the hands of the Lord and they see that He is active in it, that He has a solution, and their own heart is therefore at peace, then they can begin to understand what is happening and can apply some intelligent remedies to the situation that will work out the problem. There is profound psychological insight in the fact that the apostle begins with the declaration that Christ is our peace. He alone can accomplish it. Father, thank You for the access I have to You. Help me to believe the message of peace and thus to enter into the joy and peace of life with You. Life Application: Peace is the absence of war, but what is true peace? What is the inevitable result of peace made based on external conditions? Where do we find true peace & oneness? Categories: anger, conflict, joy, peace | Tags: christ, conflict, peace | Permalink.